022: Неисправная автомотриса-дефектоскоп АДЭ-1МТ No. 022. ТЧ Астана, Казахстан. 25.09.2005 / Out of repair motorailer - rail flaw detector ADE-1MT No. 022. 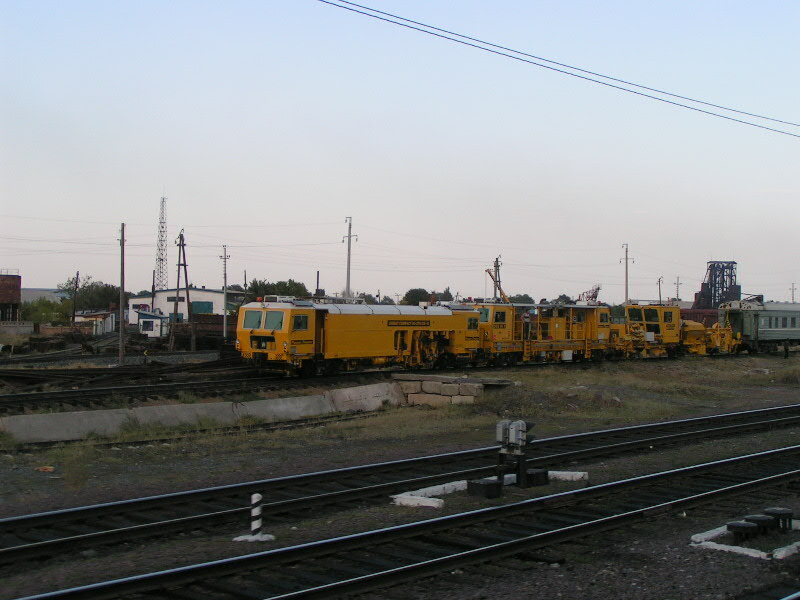 Loco depot of Astana, Kazakhstan. 25.09.2005. 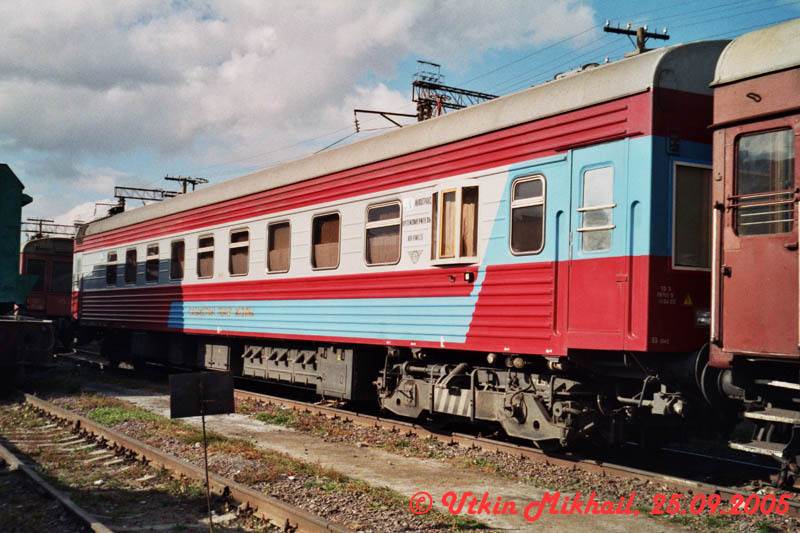 Different work cars seen from train 23KH (Alma-Ata 1 - Aktjubinsk) somewhere between Alma-Ata 1 and Otar. 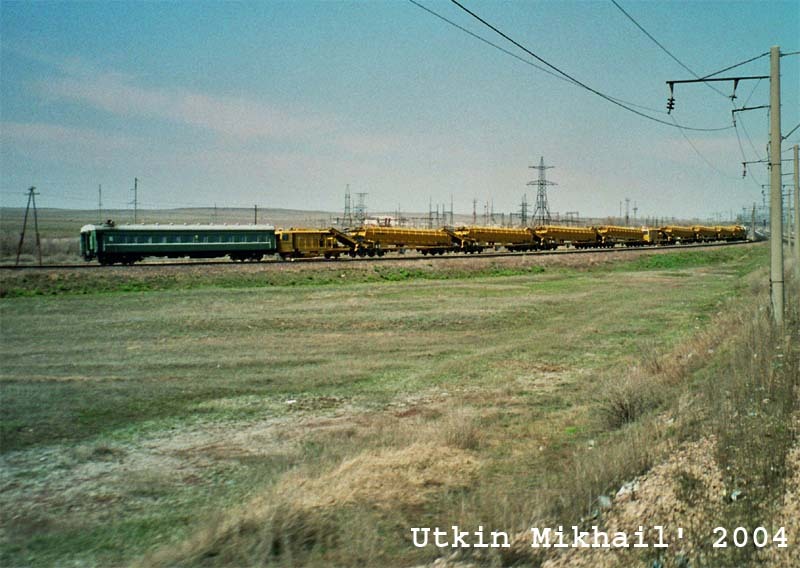 Train 331 (Tashkent - Saratov) passing working vehicle somewhere (could be Bekbeke) between Bejneu and Makat (Kazakhstan). 561-1713: Подъёмные краны КЖ-561 с платформами прикрытия. Ближний - № 1713, дальний - неизвестный. Астана, Казахстан. 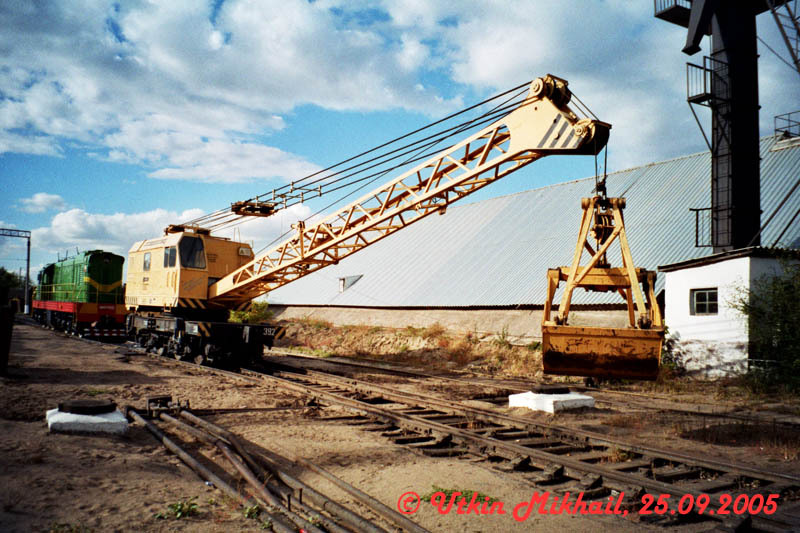 25.09.2005 / Two elevating cranes KZh-561 with lowries for covering. Near - N 1713, distant - unknown. Astana, Kazakhstan. 25.09.2005. 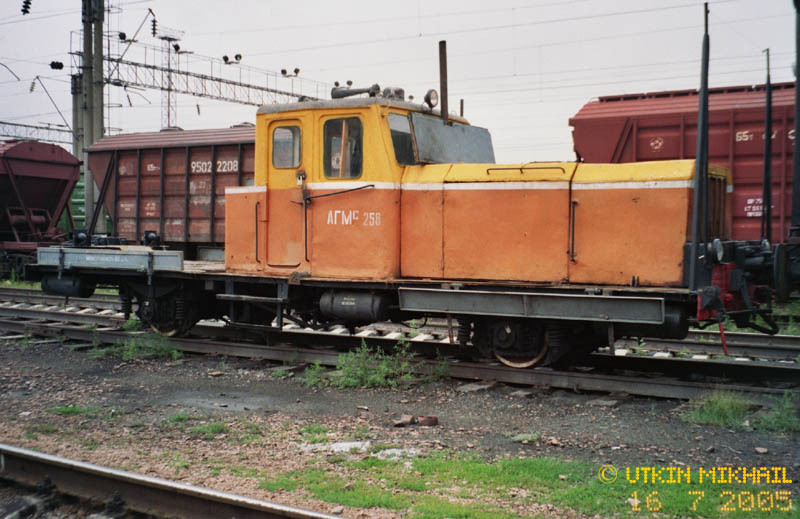 561-392: Подъёмный кран КЖ-561 № 392. ТЧ Астана, Казахстан. 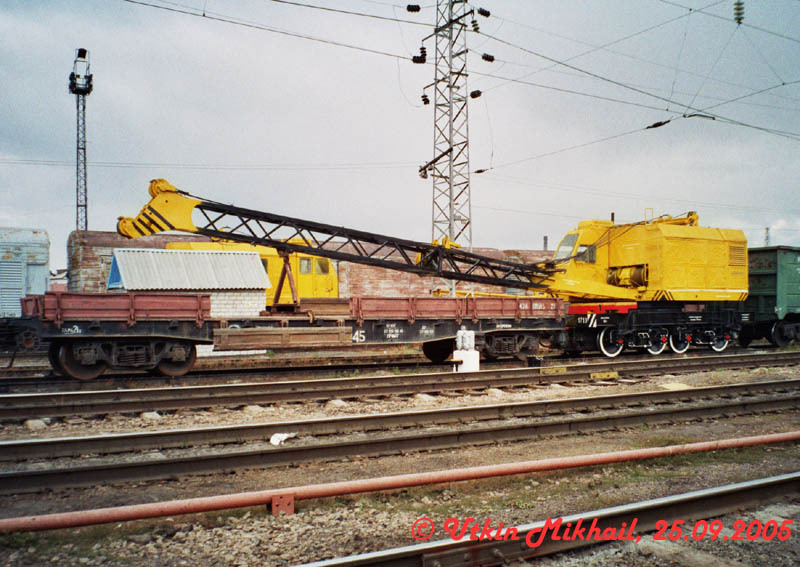 25.09.2005 / The elevating crane KZh-561 N 392 (25 kV 50 Hz). 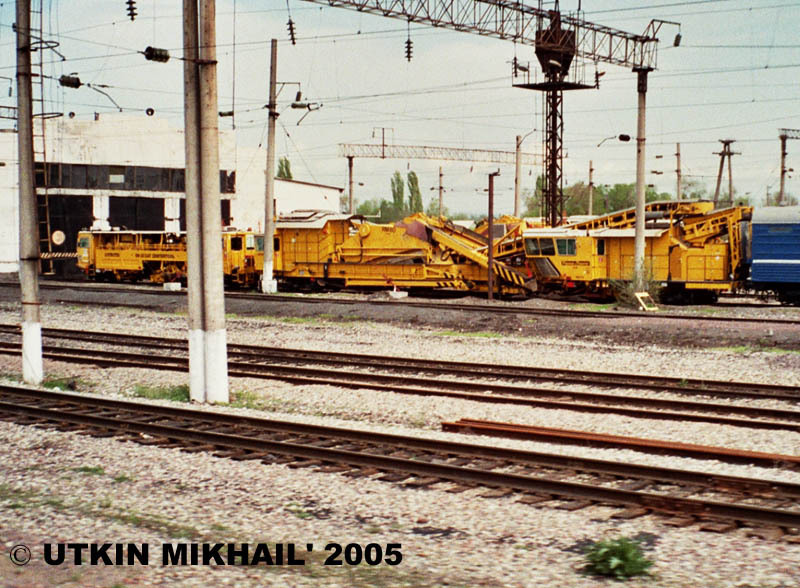 Loco depot of Astana, Kazakhstan. 25.09.2005. 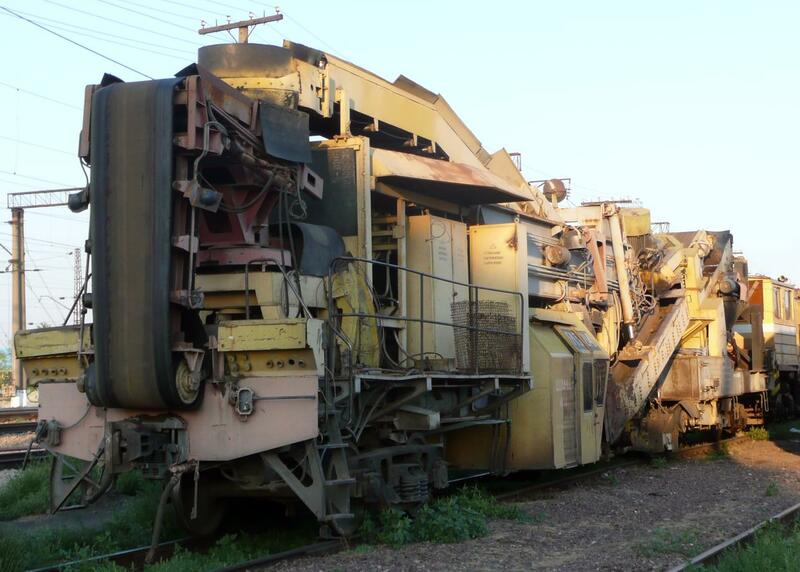 KTZ ballast cleaning machine No. 191 32141. Astana, 2008-08-12. 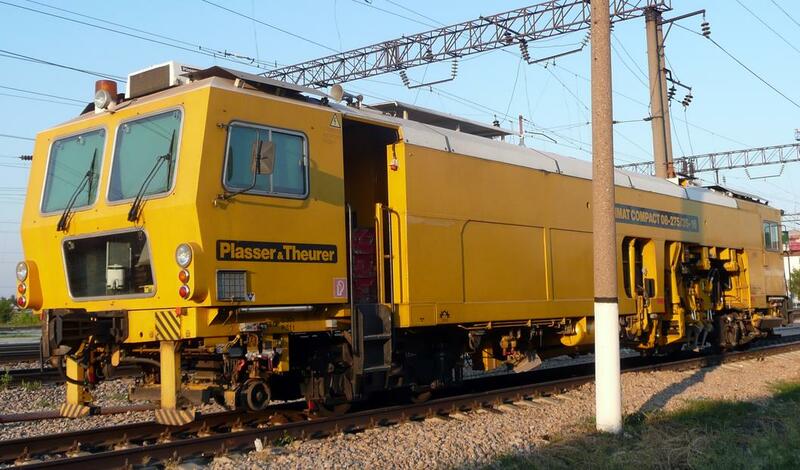 KTZ ballast tamper Plasser & Theurer Unimat Compact 08-275/3S-16. Astana, 2008-08-12. 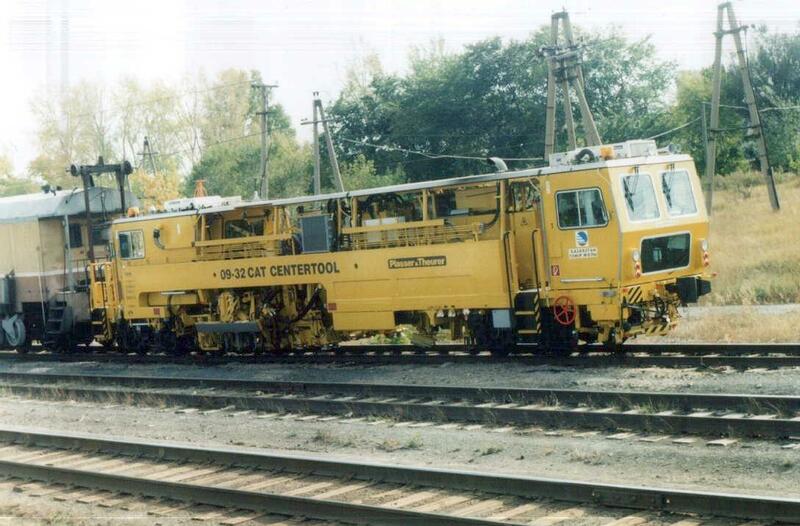 One of special machines for repair of rails from a complete set of machines, special changed under width of a gauge of 1524 mm, purchased for Kazakhstan Railways in Europe in the summer 2003. 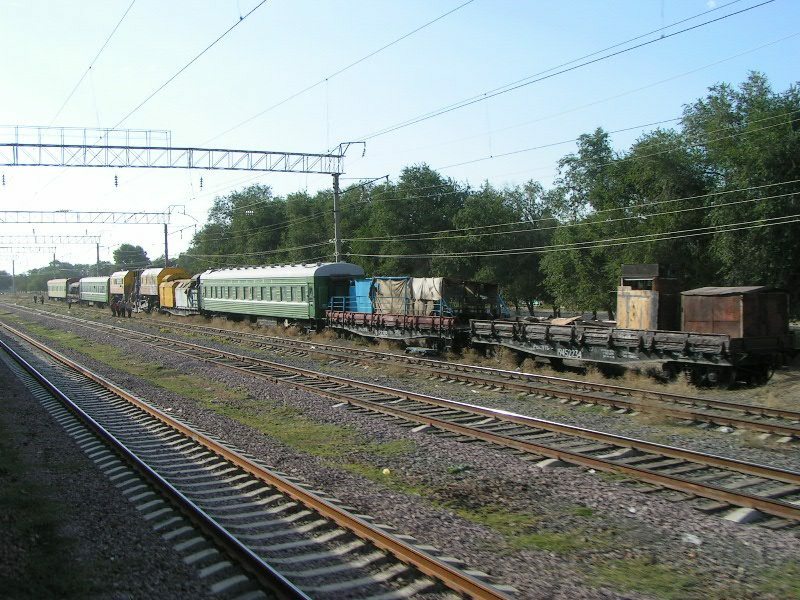 Osakarovka railway station, Karaganda area, Kazakhstan, september 2003. 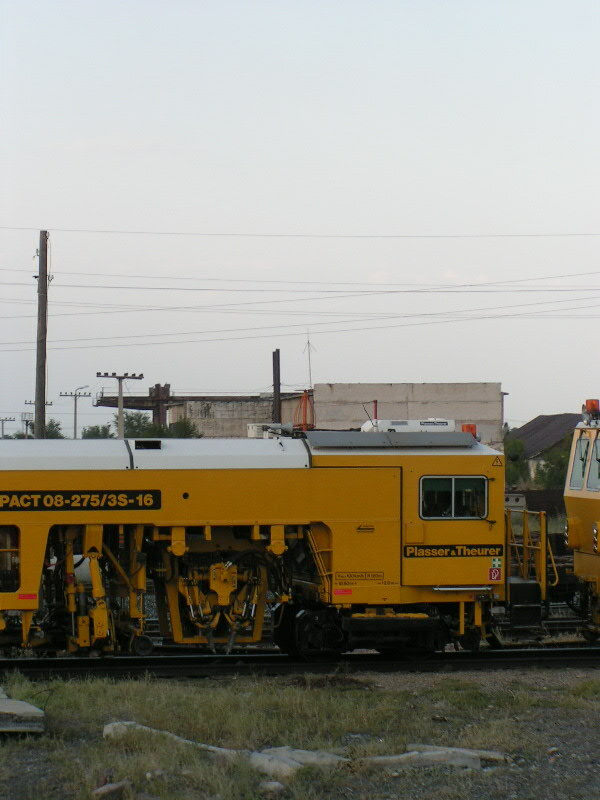 Train for repair of a rail way of manufacture of firm "PLASSER & THEURER" stands at Zharyk railway station. Karaganda area, Kazakhstan, May, 2, 2004.
agd1a449: Путеремонтная дрезина АГД1А-449 на станции Чу. "Турксиб", Жамбылская область, 24 апреля 2005. 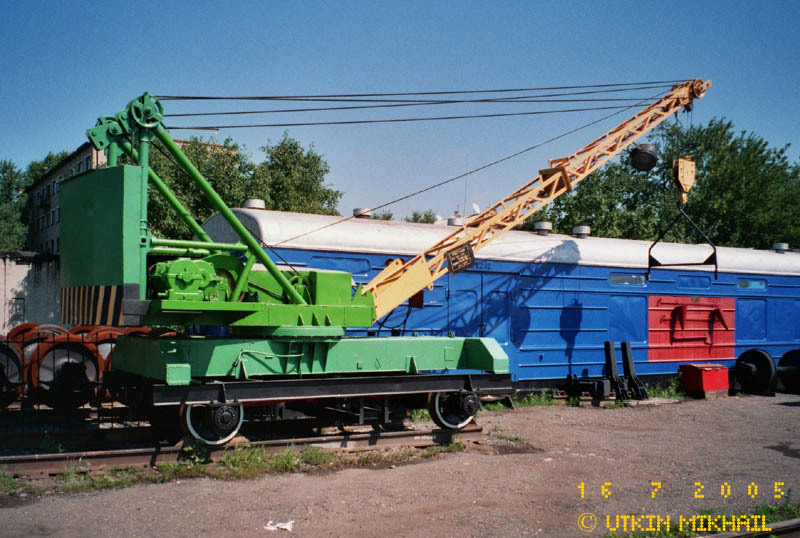 / Russian engineering for the repair of railway such as AGD1A # 449 on Chu station. "Turksib", Dzhambul region, Kazakhstan, April 24 2005. In city Ekibastuz of the Pavlodar area the very influential man was found which has taken away at Ekibastuz police my film and has returned it to me. bogat01: Экскаватор с прицепом. Станция "Богатырская", Экибастуз, Павлодарская область, Казахстан, 8 мая 2005. / The dredge with the trailer. 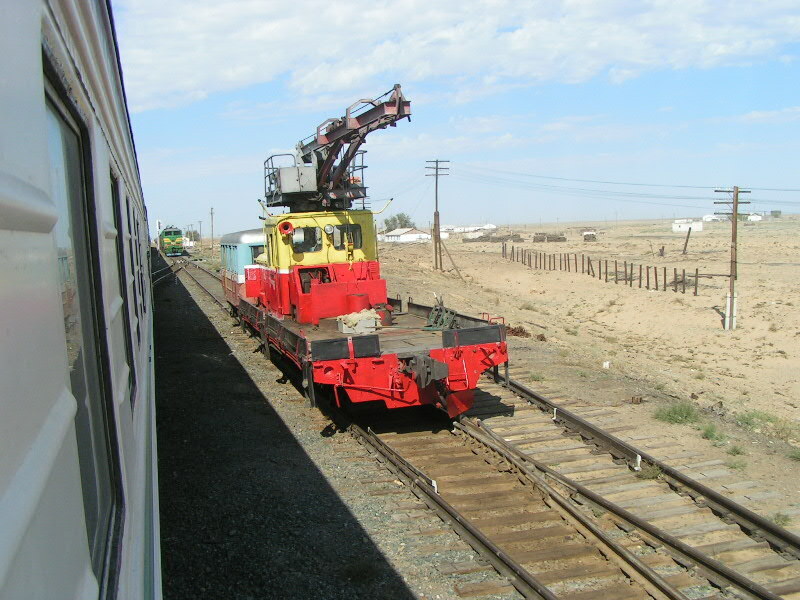 Station "Bogatyrskaya", Ekibastuz, Pavlodar area, Kazakhstan, May 8 2005.
chu1: Путеремонтная техника австрийской фирмы "Plasser & Theurer" на станции Чу. "Турксиб", Жамбылская область, 24 апреля 2005. 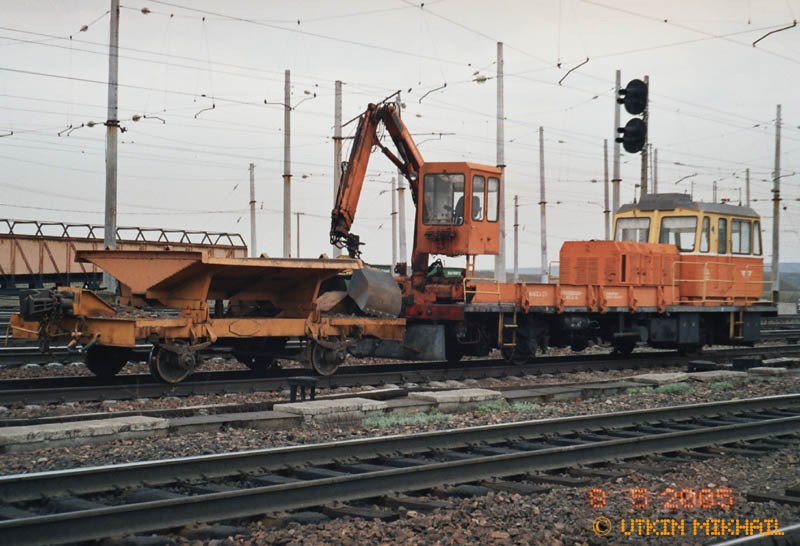 / Engineering for the repair of railway of "Plasser & Theurer" on Chu station. "Turksib", Dzhambul region, Kazakhstan, April 24 2005. Австgийская автомотgиса-путеизмеgитель "ЕМ-120". ПЧ-17 Астаны, Казахстан. 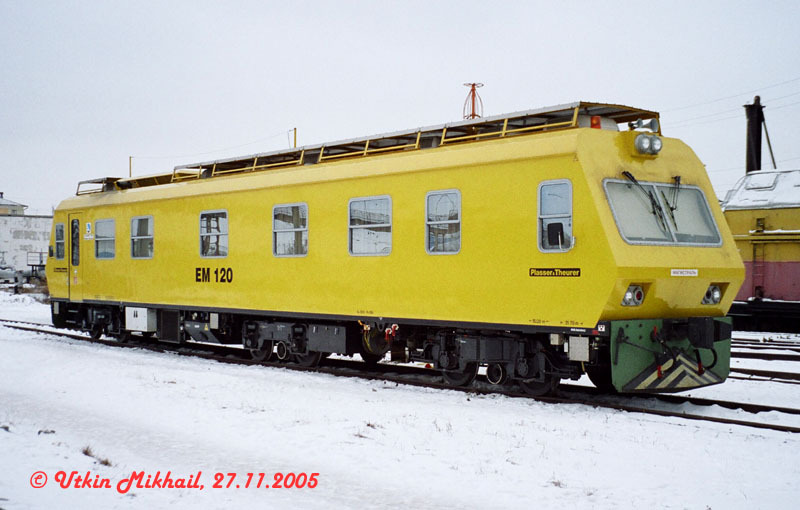 27.11.2005 / Austrian automotrice for check of a condition of a railway. Astana, Kazakhstan. 27.11.2005. Gотоgный снегоочиститель. ПЧ-17 Астаны, Казахстан. 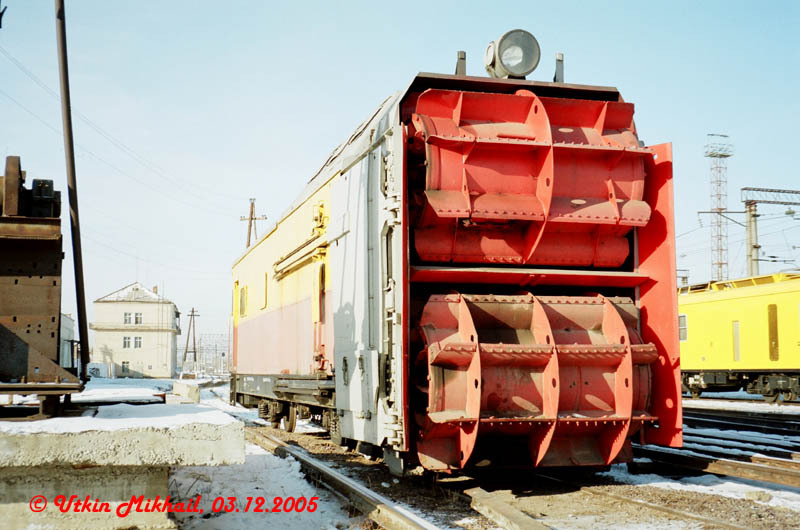 03.12.2005 / Rotor snow-plough. Astana, Kazakhstan. 27.11.2005.
tvzd: Новый российский вагон-дефектоскоп. ТЧ Астана, Казахстан. 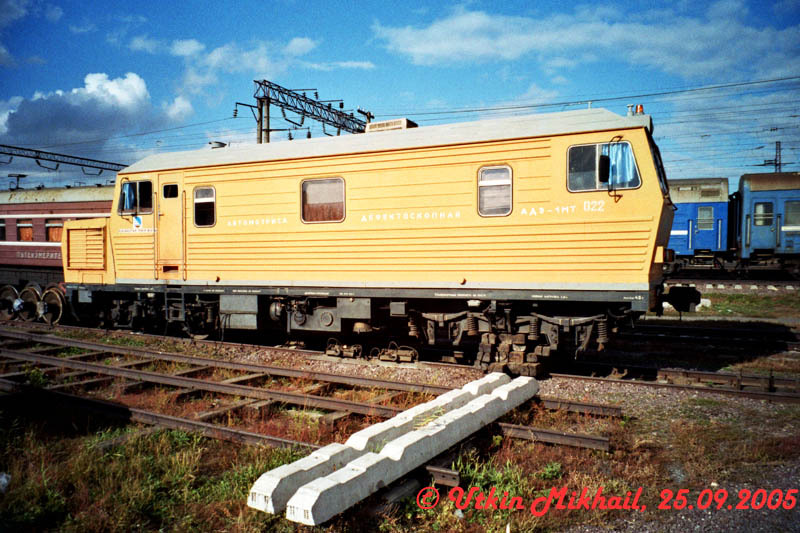 25.09.2005 / New russian car - rail flaw detector. 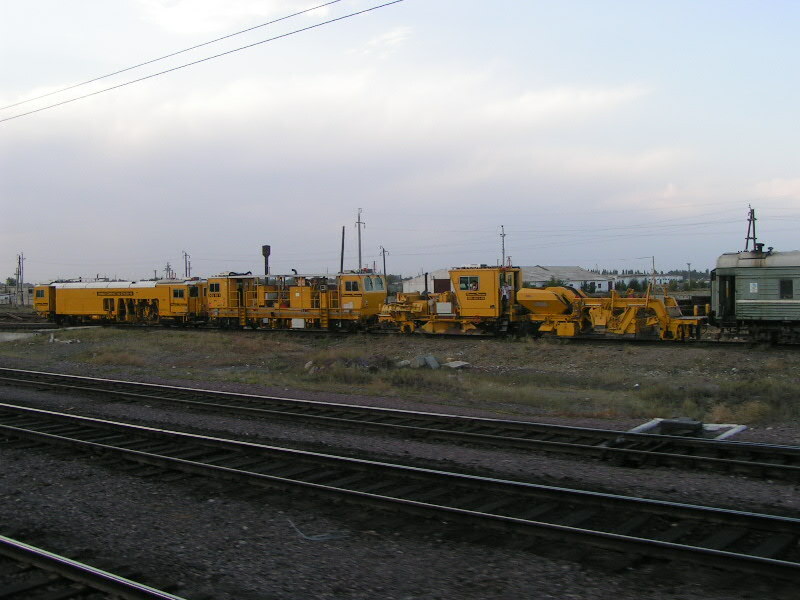 Loco depot of Astana, Kazakhstan. 25.09.2005.